A Happy Birthday message like no other. This is as happy a message as any – ‘It’s my birthday! 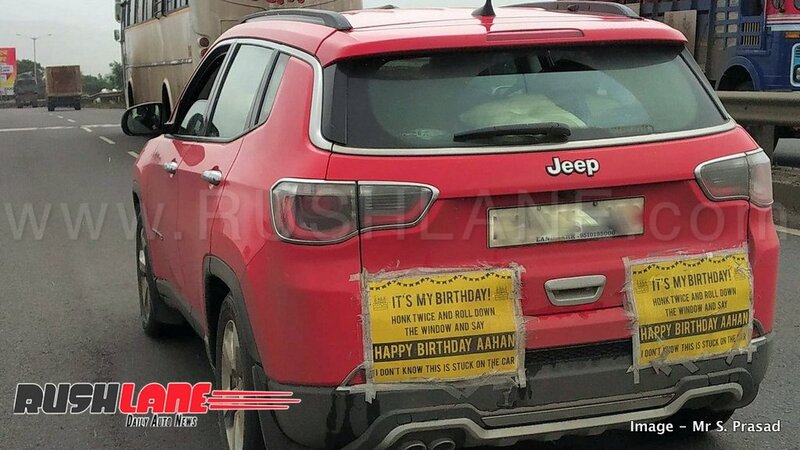 Honk twice and roll down the window and say ‘Happy Birthday Aahan’.’ I don’t know this is stuck on the car. 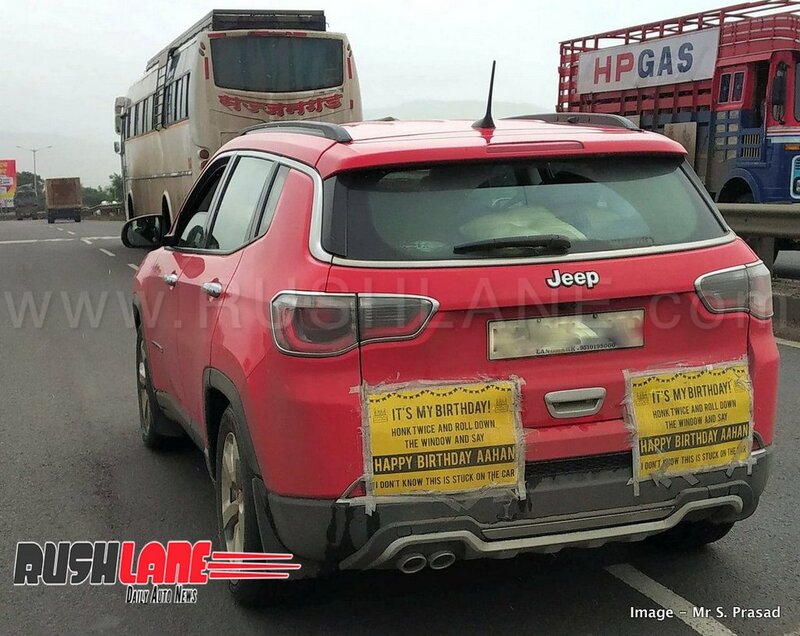 This red Jeep Compass was spotted in Maharashtra has a serious job, and seems to be doing a pretty good job at spreading the birthday message. In terms of probability, those around Mumbai (West) – Andheri (MH-02) are most likely to spot the goodwill vehicle. Unfortunately, we haven’t seen the car, and hope it’s not too late, but a wish is a wish. Happy Birthday Aahan. And hopefully if you’ve seen the request, do spread some cheer. And yes we do understand the dangers of pursuing the request, but a simple two honk acknowledgment shouldn’t really get in the way of anything. Ofcourse there are things to keep in mind if you find yourself in a position to wish Aahan. Don’t honk unnecessarily long sequences to get noticed. If you find yourself in a parallel lane and are trying to pull up to be abreast ensure the vehicle in front isn’t inconvenienced. If you find yourself directly behind the car, and want to pull up parallel, please watch the next lane for traffic and only shift lanes when a sufficient gap is available. Most importantly, don’t flout speed limits in trying to catch up as that could end quite badly. First it’s wrong, and you’re quite likely to pick up a speeding ticket as the number of speed cameras being installed has been increasing in recent months. And since both posters have been stuck on quiet effectively, hopefully they haven’t fallen off yet. Can’t promise cake and celebrations but there’s nothing better than spreading a good cheer. Once again, ‘Happy Birthday Aahan’.